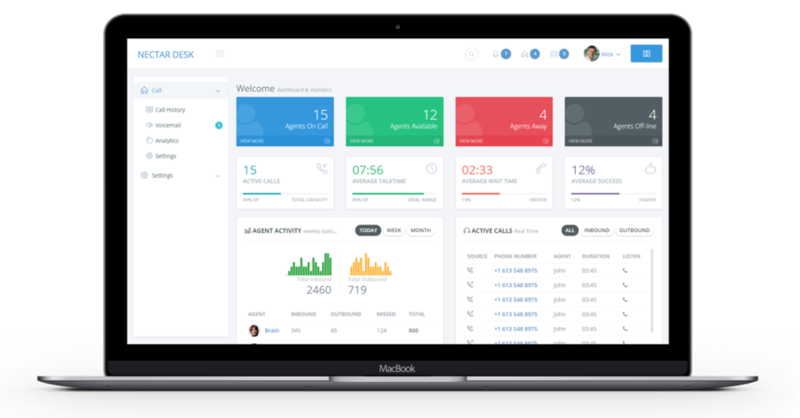 Nectar Desk is the contact software that is the answer for your call center. Let us explain. But is that all? There is more. Nectar Desk is on the cutting edge of technology. We provide an analytics dashboard that will save you money and help better utilize your staff. Active Campaign, Pipedrive , Zendesk and Teamwork Desk all integrate seamlessly with Nectar Desk. When it comes to alternative comparisons to competitors like Five9 and Aircall Nectar Desk comes out on top with its combination of affordability and world class technology. Choose contact software that works and get started with Nectar Desk today.